President Trump will ensure that huge savings will be accomplished through common sense reforms that eliminate government waste and end budget gimmicks. 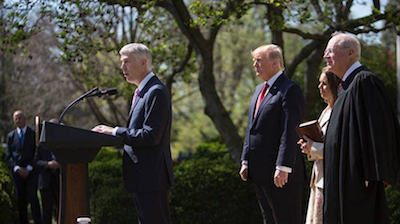 Justice Neil Gorsuch, President Trump’s pick to fill the vacant seat on the United States Supreme Court, was formally sworn in on Monday. Justice Gorsuch is a man of unquestioned integrity and deep faith in the Constitution of the United States. It is critical to have a strong defender of the Constitution like Justice Gorsuch sitting on the United States Supreme Court. Honoring The Men And Women Who Serve Our NationThe White House hosted the Wounded Warriors Project Soldier Ride to pay tribute to the men and women who have fought for and protected our country. 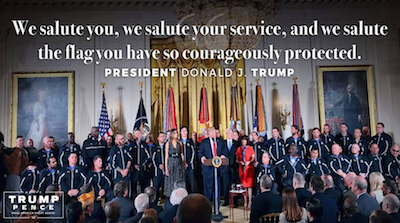 President Trump delivered remarks to honor the brave men and women who have served this nation at an event in the East Room of the White House. 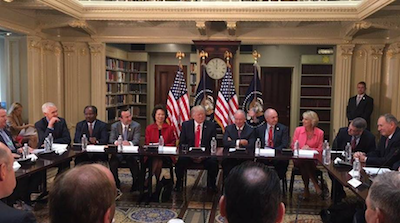 Working With Business Leaders To Grow The EconomyPresident Trump gathered with a group of World Class business leaders this week at the White House to discuss the creation of great, high-paying jobs for our American workers. Since the President took office, over 600,000 jobs already been created. This week, Toyota (NYSE:TM) announced that it will invest more than $1.3-B into its Georgetown, Kentucky plant that will result many more jobs in the future. 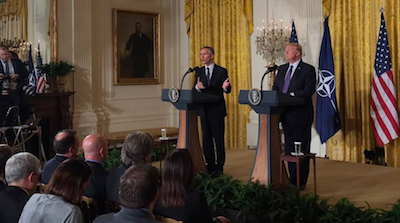 Working With NATO To Focus On The Challenges Of The FuturePresident Trump welcomed NATO Secretary General Stoltenberg to the White House this week. NATO allies defeated communism and liberated captive nations during the Cold War. They have secured the longest period of unbroken peace that Europe has ever known. This enduring partnership is rooted in many different things, but our nations’ security is the priority, as is our common devotion to human dignity and freedom. In the coming months and years, President Trump will work closely with all of our NATO allies to enhance this partnership and to adapt to the challenges of the future, including upgrading NATO to focus on today’s most pressing security issues including migration and terrorism. For too long, we have punished production in America and rewarded companies for leaving our country, it is time to reverse that. The President is also simultaneously working to modernize our economy and harness the full potential of women in the workforce. Economic confidence is sweeping our nation. Thank you for joining us for another week and thank you for your continued support in Making America Great Again.